The 2nd District serves the cities of Golden Valley, Medicine Lake, north and northeast Minneapolis, southeast Plymouth and St. Anthony. I hope you like the new format of our newsletter. It's a good way to celebrate starting my third year in office. Information/RSVP: 612-348-4454 or email bottineau@hennepin.us. 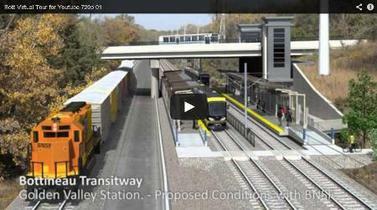 Hosted by Hennepin County, the City of Minneapolis, and the City of Golden Valley. The board launched a series of hearings to discuss the budget and gather public input. Meetings can be viewed live on Metro Cable Network/Channel 6 or online at www.hennepin.us/boardmeetings. All budget meetings are held in the Board Room on the 24th floor of the Hennepin County Government Center, 300 S. Sixth St. in downtown Minneapolis, and are open to the public. View the 2015 budget hearing schedule online. Public hearing on Hennepin County Housing and Redevelopment Authority levy and budget beginning at 1:30 p.m. The final county, Hennepin County Housing and Redevelopment Authority and Hennepin County Regional Railroad Authority budgets and tax levies will be adopted beginning at 1:30 p.m.
More information: See the budget news release. North Regional Library, 1315 Lowry Avenue North (Meeting Room), Minneapolis. Hennepin County and the Sheriff’s Office hosted a ribbon cutting ceremony on October 3 to celebrate the construction of the new Hennepin County Sheriff’ s Office 911 Emergency Communications Facility (911 ECF) in Plymouth. The 911 ECF is one of the largest consolidated dispatch centers in the Upper Midwest. It will handle approximately 600,000 telephone calls annually, which includes calls from 911, law enforcement information requests, and other calls. It will provide dispatch services in 37 communities, 23 law enforcement agencies, 21 fire departments, and four EMS providers. The 50,000 square-foot facility has three primary functions: 911 dispatch, a highlyadvanced data center, and a technical services unit that provides maintenance and repairs to approximately 8,000 interoperable radios and services 700 mobile data computers (MDCs) in squad cars and public safety vehicles such as fire trucks and ambulances. The 911 ECF replaces the current 911 facility in Golden Valley which was built in 1948 and among the many deficiencies in the aging facility; it lacked the capacity to keep pace with future call volume. The new Webber Park Library design team is eager to share the preliminary ideas that they have been developing this fall with the Northside community. The next community meeting for the new library will be held on Saturday, December 6 from 9 to 11 am at the Webber Community Center, 4400 Dupont Avenue N. Hennepin County staff and the project architects will review proposed library site plans and discuss early plan diagrams. For additional information on the Webber Park Library process, please visit the project’s website or contact Lois Lenroot-Ernt at (612) 543-8555. Preparation of the site for the future Webber Park Library began earlier this fall. Site fencing was installed and soil sampling and analysis is underway. Deconstruction of the residential buildings began in early October and is expected to be complete in November. The deconstruction process is carefully coordinated to ensure materials are salvaged for reuse, recycling, or repurposing where possible. Hennepin County Housing and Redevelopment Authority released a Request for Interest to sell the surplus property located just south of the new library, located at 4414 Humboldt Avenue North. The county is seeking a party that proposes to remodel or redevelop the property in a manner that is complementary with the library and the community. Responses to the Request for Interest are due on November 21, 2014. Respondents are invited to display information on their responses at the December 6 community meeting. An update on the process will be provided at the community meeting as well. For additional information on the 4414 Humboldt Avenue North property, please visit the RFI website or contact Thatcher Imboden at (612) 348-4191. The board approved a contract to recycle ferrous metals from the Hennepin Energy Recovery Center (HERC), increasing metal recycling by 400 tons per year and reducing costs for ash disposal. Recycling these additional materials will provide $250,000 in annual revenue and save $150,000 per year in ash disposal. SKB Environmental, Inc. will install new equipment to recover more metal from the ash. More than 11,000 tons of scrap metal is recovered from HERC ash each year – more than double the amount of metal collected in curbside recycling programs in the county. The Hennepin County board passed a resolution calling on the owner of the National Football League (NFL) team from Washington, D.C. to change the name of the team to one that is not offensive to American Indians or any other ethnic group. The use of the term “redskins” is objectionable to many American who consider it to be racist and derogatory. The Washington, D.C. council, many American Indian tribes in Minnesota and across the country, and other groups and individuals have called for the team to change its name. The resolution was adopted by the board with the pending game between the Minnesota Vikings and the team from Washington, D.C. on Sunday, November 2 at TCF Bank Stadium on the campus of the University of Minnesota. 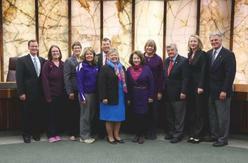 The board declared November Pancreatic Cancer Awareness Month in Hennepin County. Pancreatic cancer is one of the deadliest cancers and is the fourth leading cause of cancer death in the United States. African Americans have the highest incidence rate of pancreatic cancer – between 34 and 70 percent higher than other racial or ethnic groups. Increased awareness and research into early detection, causes and effective treatments will enhance the health and well-being of Hennepin County residents. Hennepin County will also light the Lowry Bridge purple on November 13 for "Purple for a Purpose Day". For more information on this Awareness Day on November 13 please visit: pancan.org/purpleforapurpose/. Nimbus Theatre presents Strindberg's "Ghost Sonata"
Visit northloop.org for more information. candy to be sent to our troops overseas. Candy for the Troops. Donate your leftover Halloween candy to be sent to our troops overseas.